During this winter I started to learn how to create maps. My whole goal from the very beginning was to create not only a map that I would enjoy to play on but a map that was of tournament caliber. When I say tournament caliber I mean custom maps like aerowalk/ztndm3 that have finally gained acceptance in the community as standard tournament maps. I think I have finally found a map that I have made that I can truly say that I am proud of. 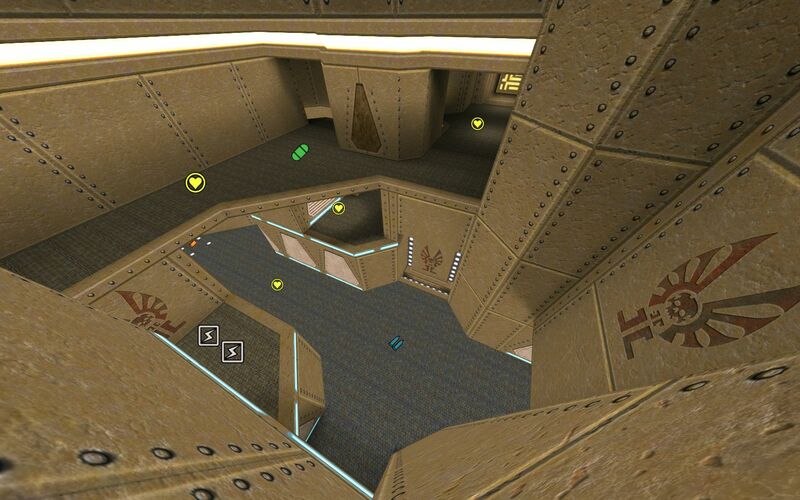 I also am proud to say that I think it could be used competitively in the QuakeWorld scene as a tournament map. I am only 10 or 15 years late with making this but I feel that it's time to break the monotony of the current duel map pool. Like all the maps that I was trying to emulate it does include quad and can potentially be played in 2on2. It was actually specifically made to be played in 1on1 AND 2on2. Something that I've learned is that qwers generally don't like custom textures so for this map I stuck to the base ID theme. I will remind everyone that this is a beta test of the map so polishing touches to the textures will be made before I make it final and possibly balance changes if it needs it(items/spawns). 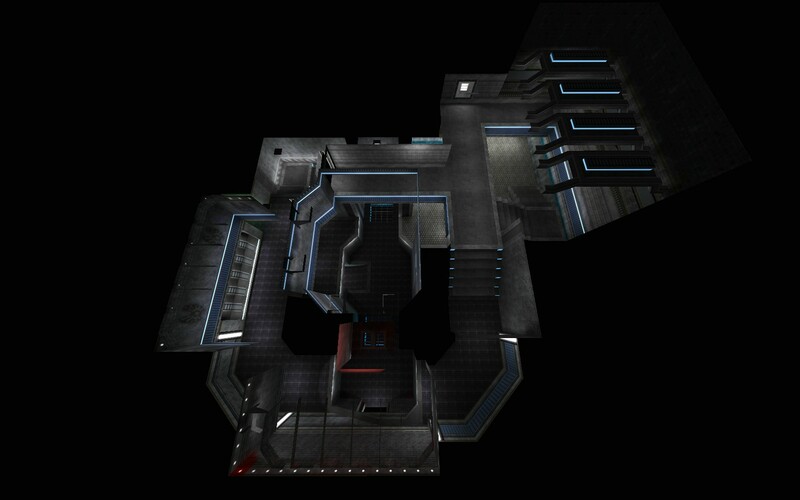 But contrary to my maps that I have made before I will be finalizing this map and taking it out of beta. The final map name will be "bravado" and will come in a zip package with the standard text file with map/author information upon completion. Since there aren't very many people/top names in the U.S. who are interested dueling anymore I will be looking for Europeans mostly to get play testing. I will hound the top names like Milton/Locktar/bps/rikoll etc to try it. I also need to get into contact with some European server admins to get this map on their servers so it can actually be tried out. If you know or are a server admin who could upload my map please let me know! Expect me hassling you guys. I'm really interested in holding a tournament specifically for this map to see how it pans out. If anyone would like to help out with that please contact me. Cheers and enjoy the map! I am trying to play this map, although I see no monsters. Moreover, seems like I am walking around with no way to finish it. Could you please check whether bravadob1.bsp isn't broken? I like it. We need more good tournament duel maps with no flaws, such as dead ends, too campy etc. Just wanted to point out that the quad place was kinda nasty but you've it removed by now. And maybe you should add more volume to the actual teleport entity like in most other maps. 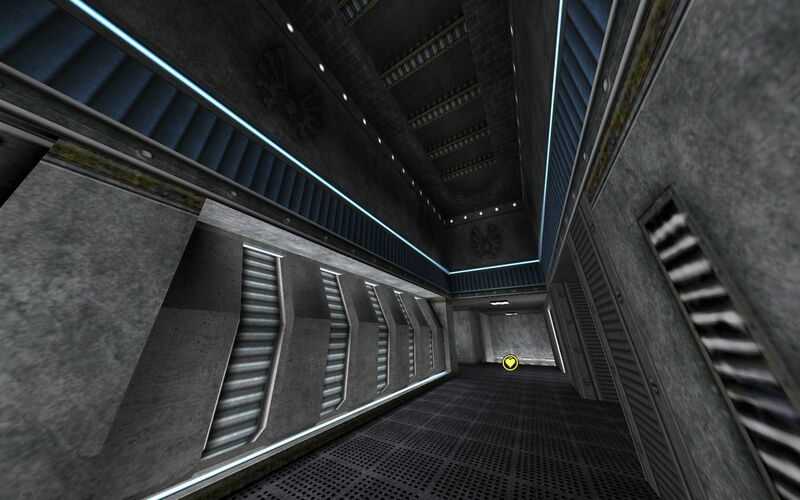 I'm still working on this map but the maps name is changing to subterfuge since I've changed so much. But the basic map layout is really similar. Currently in alpha. Using a q4 map named monsoon's textures. Quite interesting, I enjoyed the original a small bit, however I felt as though the teleporters were redundant and didn't work out too well. Are there any changes with this latest update you're working on? A change of textures is also a nice thing, just don't make the map too desautrated, give it a style that stands out and makes it interesting. Give it colour, edit the textures so that theres different variations of one texture, and use these variations in different places to make the map look unique (I.E: with the brick texture, perhaps remove some bricks/darken some bricks so that they look out-of-place contrary to the others). Right now, I think it's too grey and wouldn't be attractive to play on, even if the layout is amazing. This map looks strong. Apparent parallels to aerowalk without being an outright clone. RA setup reminds me a great deal of the quakelive map toxicity's megahealth. Resources are inherently close due to the overall size of the map, but fenris has done a good job of keeping them as distanced as possible. maps=lifeblood of this game, so the potential of a new classic is really interesting. I just added colored lights and did a little more detail work. Thought I would share this with people who were interested in trying it out. There are major changes in this latest update that I am working on Matuka. Perhaps I just need to do some detailing to the textures to make the map look unique but I have added some features to the map to make the different/important areas stand out. The colored lighting might also help to alleviate some of the repetition of the grey but you have to have gl_loadlitfiles 1 in your config to see it. ok, played the map 1 round. first impression: really nice! aww you should have played the newer iteration! oh well this is good too. omg, bps/locktar, you must play the newest version of subterfuge (a6) !!! I want the demo! Looks nice as for me (w/o 25bit & lit). Not sure about the grids, but r_speeds shows great perfomance so it's most likely just fine to have them. Can't say anything consistant on overall map flow (because of me being newbie ) but, hey, they made it to work with DM4 (which in my opinion is interesting map on itself but hell is it strangely designed) so this one most certainly has a chance. Guys where can i download Bravado? cant find any link to it... and textures to please! Bravado está em quase todos os servidores. Quanto a texturas não te posso ajudar. Trinca, play ur game with Tsobo!